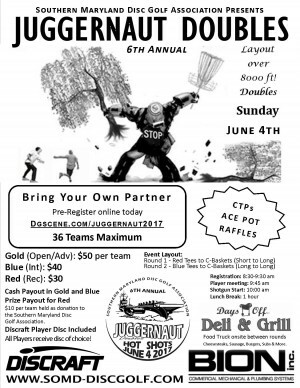 Bring-your-own-Partner best shot doubles fund raiser event for the Southern Maryland Disc Golf Association. 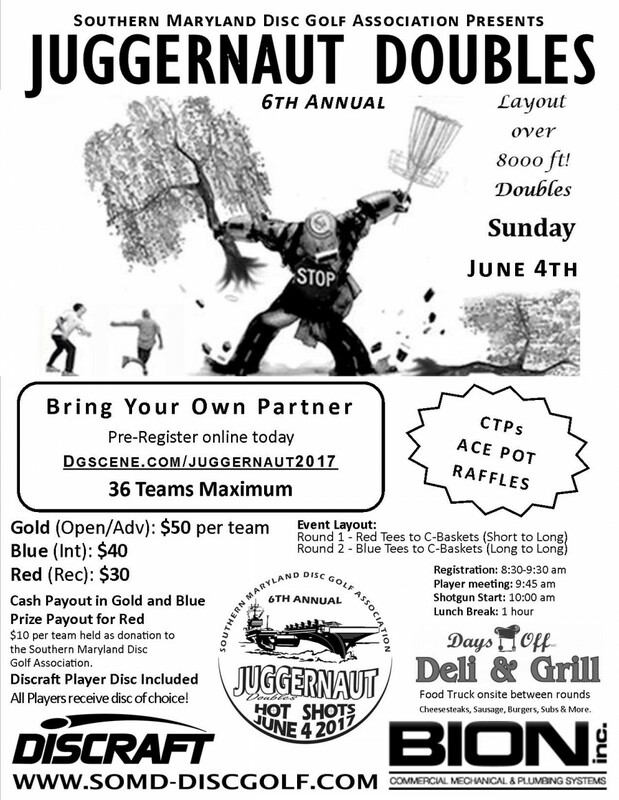 $10 per team will be held for donation to the Southern Maryland Disc Golf Association, INC. The Juggernaut will showcase the Long Basket positions on all 18 holes in round 2, and play from both sets of tee pads. See below for division details. CTPs, Ace Pot, and Raffles too! $60 per team. Cash payout. $40 per team. Cash payout. $20 per team. Free disc included. Prize payout. Southern Maryland Disc Golf Association is responsible for all refunds/cancelations.